Since I’ve been struggling to write full on reviews lately, I thought I try to lessen that struggle by posting my somewhat quick thoughts on movies with exerts that would have been put in my complete movie list for this year. Maybe this is baby steps to getting back to the full reviews. I didn’t expect much from this movie after the first trailer showed me a glimpse of a movie that looked like it was going to be underwhelming. The finished product wasn’t terrible but it didn’t make my prediction look stupid. On paper, the cast is great but their performances were just solid, nothing standoutish about any of them. Samuel L. Jackson was my favorite of the cast mainly because you can tell his character was just forced in there to be the comic relief. The whole aesthetic look of the movie was done well. Every time the movie would change its scenery, the look of the movie would change as well to match up with it. The animals were also made to look very realistic but you basically come to expect that nowadays when it comes to movies that have animals in it. The action in the movie, though, was just alright but I did really enjoy the fight scenes but they were just too few of them. 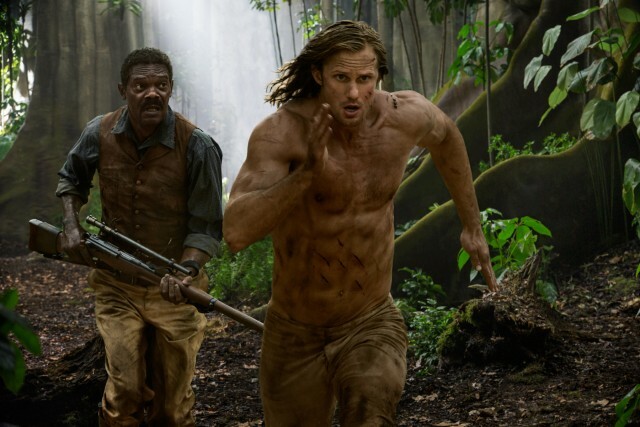 The storyline had its flaws but the whole Mbongo (Djimon Hounsou) wanting Tarzan (Alexander Skarsgård) brought to him was an issue for me. That was never going to be the main storyline but it got the story rolling so you would think it would be shown some importance towards the end. But when it came time to resolve it, it felt quickly glossed over. If that was going to be the case, the writers could have come up with a different way to kick the story off. I was hoping this was going to be one of those weird movies that I found to be super great and creative and unfortunately that wasn’t the case. The movie was decent but I wanted it to be more. 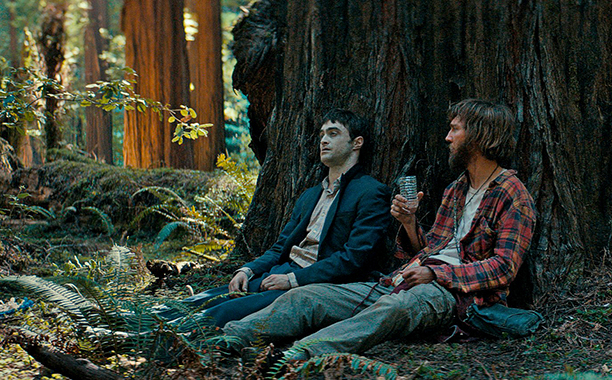 The buddy comedy element behind it was a fun idea that worked more often than not thanks to the interactions between the two main characters, Hank (Paul Dano) and Manny (Daniel Radcliffe) but I just wish a better story was molded around it. This movie had its moments where it wanted to be hilarious and great (ex. a funny conversation regarding masturbation) but then it just couldn’t take it to that next level. It was trying to tell an interesting story about being alone in the world but it just needed some more molding. And I know this movie was supposed to be goofy but all the farting at the beginning and then sprinkled throughout the rest of the movie just wasn’t funny. I’m very childish and I didn’t even laugh at it. All-in-all, I usually like odd movies but this movie was too odd for me. But Radcliffe was great as whatever you want to call his character so that’s something. P.S. Once again here is my rating scale. There are four different levels. Below is each level in order from best to worse and what each one means. Must Own = A movie that is so good that I must add it to my Blu-ray collection when it comes out. Would Accept as a Gift = I enjoyed the movie but don’t necessarily have to buy it (especially if I don’t have the funds to) myself but I would take it if someone bought it for me. Might Rent = A movie that if I have the urge to watch again then I’ll just rent it from somewhere or Netflix it. Never See Again = Very simple. I don’t want to ever see this movie again. My 2015 Complete Movie List: Top 10!